If you follow me on Instagram, you’ve probably noticed that I’ve been doing A LOT of traveling lately. It’s been super fun, and I’ve got even more coming up that I’m really excited to share with you! One of the reasons I’ve been doing so much travel is that I recently earned the Companion Pass with Southwest Airlines. (I’m a bit of a credit card points junkie…) That means that I get to name someone as my companion and they get to fly on any Southwest flights with me for free for the remainder of this year, as well as all of next year. It also means that I have a ton of Southwest points to use for free flights for myself. Pretty sweet deal, so I’ve been trying to get the most out of it! My mom has been dying to go on a trip with my sisterns and I, so I thought flying us out to Colorado for a girls hiking trip would be a lot of fun. Sadly, my middle sister couldn’t make it out with us, but it was a great trip for me, my mom, and my youngest sister. 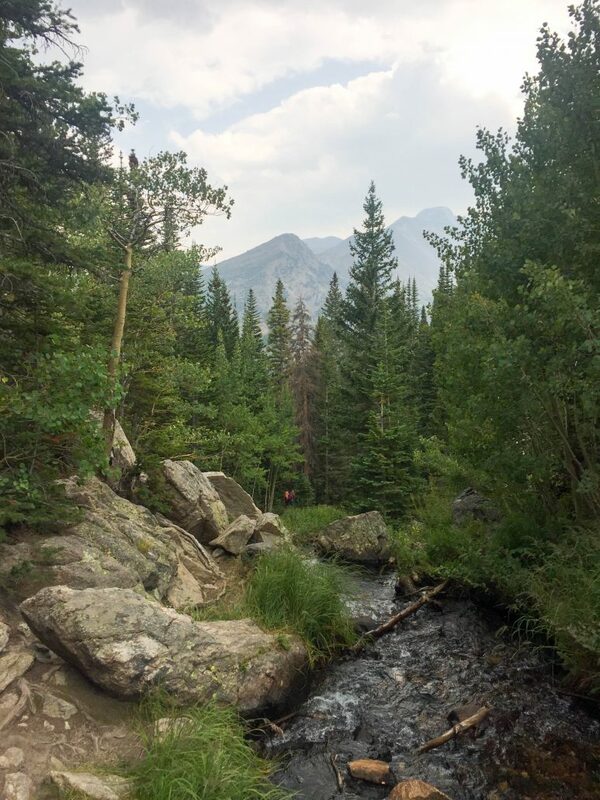 Colorado is simply stunning. I couldn’t get enough of those evergreens, man! So, so gorgeous. So let’s get to the pictures already, right?? While we flew into Denver, we actually didn’t end up spending all that much time there except for a few hours before we left to go back home. Instead, as our first stop, we headed from the Denver airport to Boulder, CO.
Boulder is soooooo cute! Tons of great little restaurants, a nice pedestrian shopping area, a beautiful bike path…really a great town. 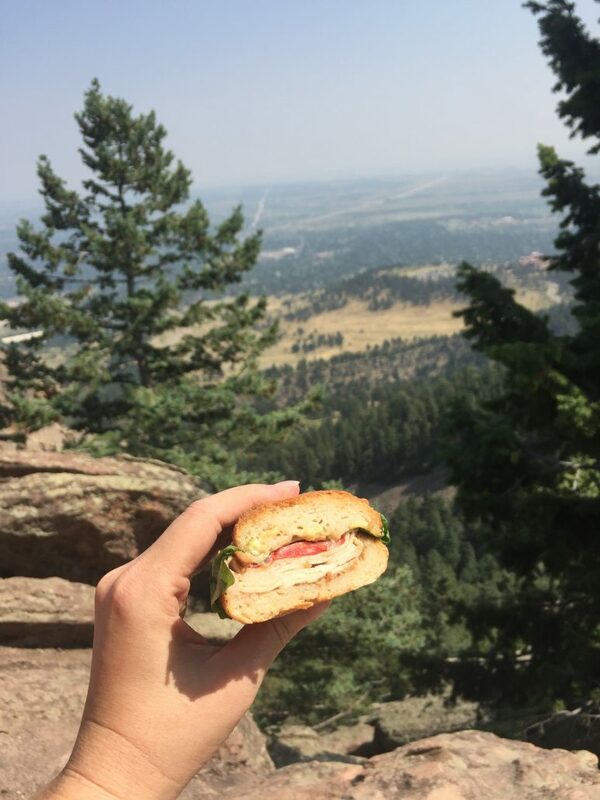 When we got to Boulder, we were all pretty hungry and we were lucky to find that the Organic Sandwich Company was right around the corner from our AirBnb. 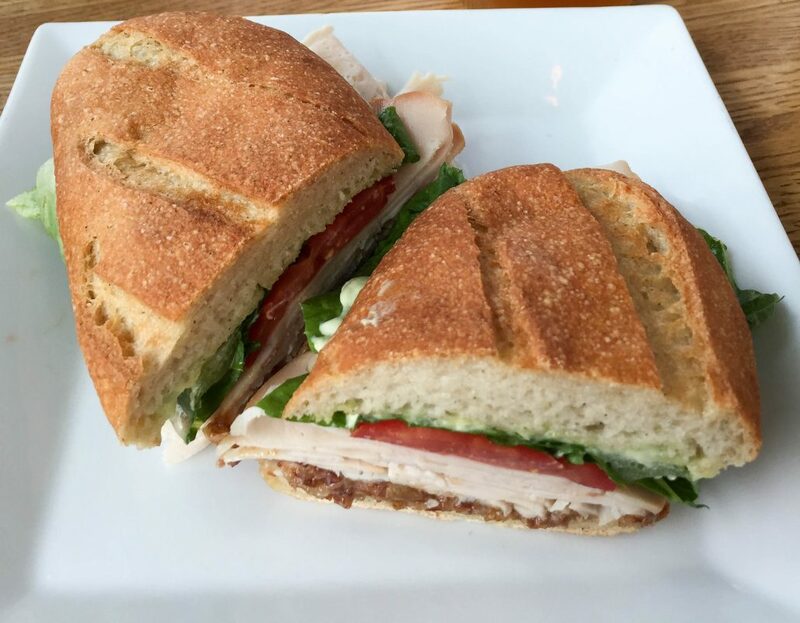 Turkey with lettuce, tomato, and bacon jam. 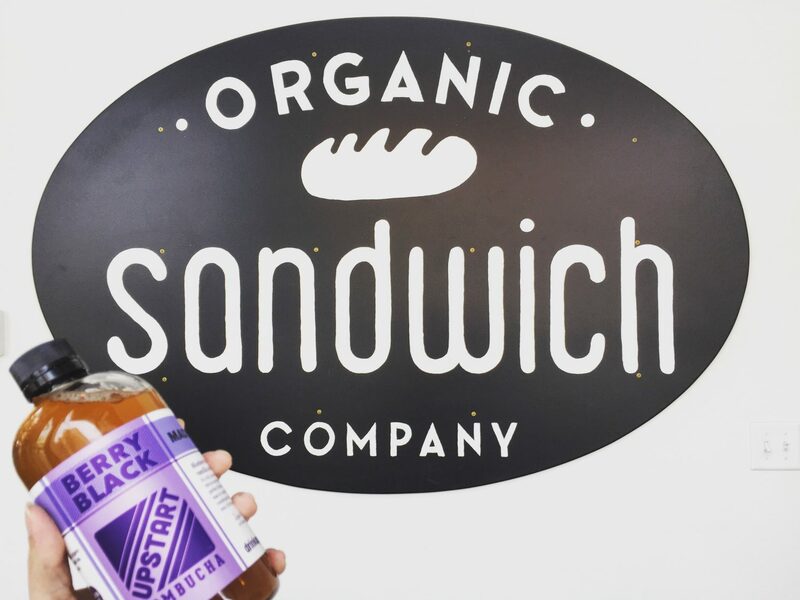 I also tried Upstart Kombucha (a local Boulder company as well) while here…man, do I wish I could find this stuff in NY! This berry black flavor was so yummy – had hints of vanilla, and it all just blended so well. Even my sister (who isn’t a huge fan of a lot of kombuchas) was a convert. Really well-made product. We ended up buying it everywhere we saw it and stocked up on it for our AirBnb. …I drank a lot of kombucha on this trip! Once we fueled up, it was time for a bike ride! 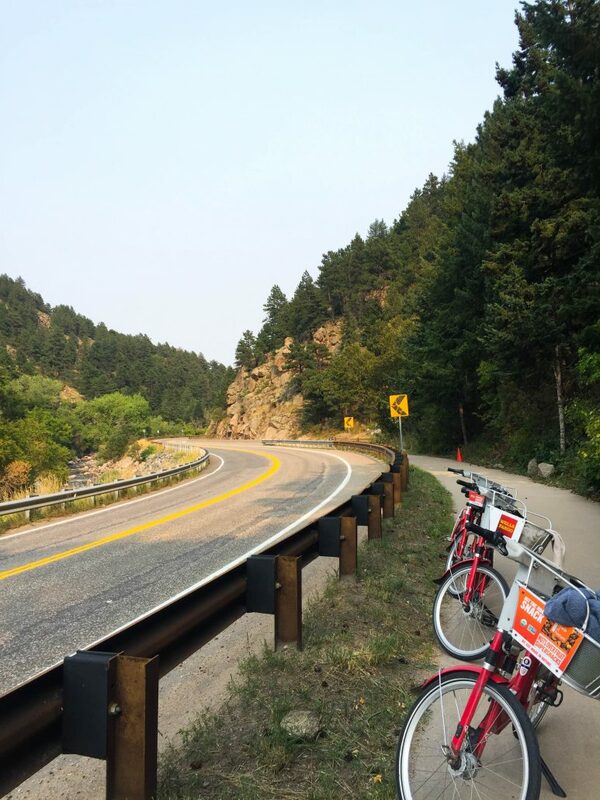 We rented bikes and headed out on the Boulder Creek Path. After biking around, we went to the pedestrian area of Pearl Street Mall to walk around, check out the shops, and eventually eat dinner. After doing a bit of yelping, we decided on BrasserieTenTen for dinner which was really good! I had the steak frites. Sadly it was very dark in the restaurant so I couldn’t get any good photos to share. My mom ordered the risotto as a side to her trout and it was seriously SO GOOD. Some of the best risotto I’ve ever had – extremely flavorful! 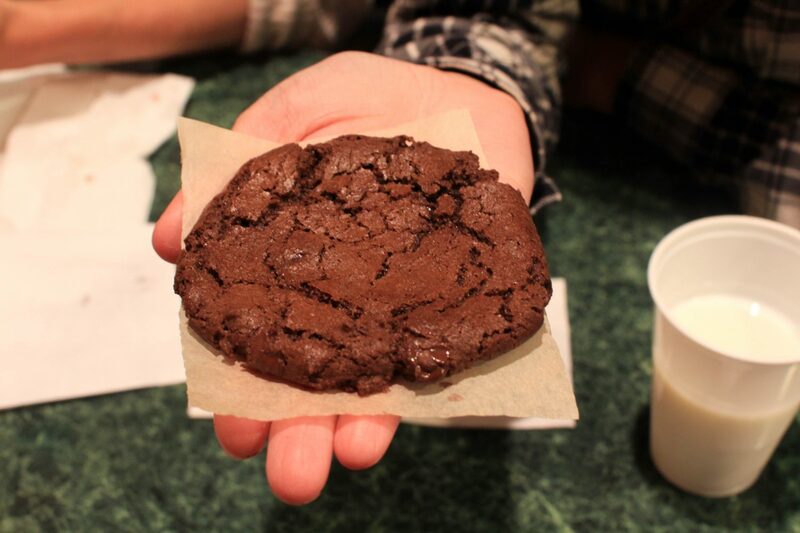 Next up, we headed to Boulder Baked for some freshly baked gluten-free cookies. This place reminded me so much of Insomnia Cookies which is essentially the same concept and was a hallmark of my undergraduate career at NYU. Full from dinner and dessert, we headed back to our AirBnb for a good night’s rest – we had some hiking to do the next day! 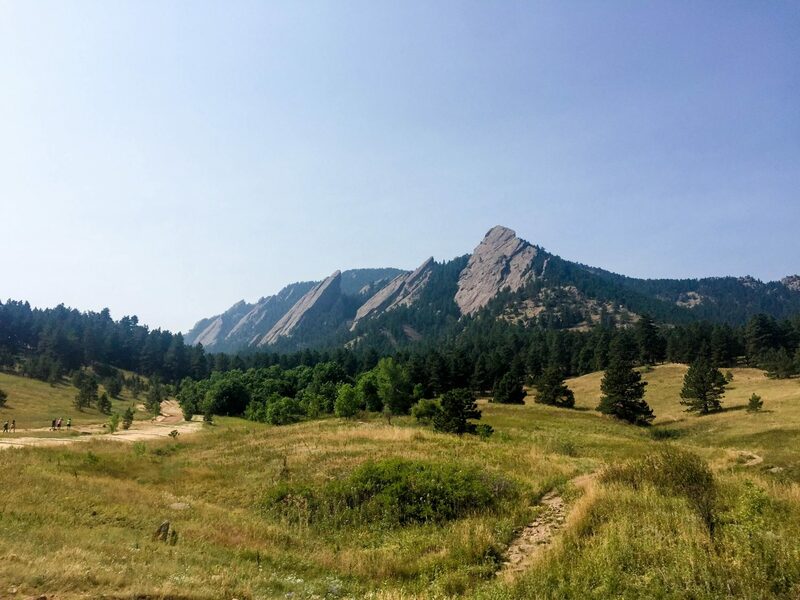 We were originally going to do the 1st and 2nd Flatirons hike, but when we got to the park ranger’s office, we were told that those trails are closed on Wednesdays and Thursdays (we were there on Wednesday). Boo! So we decided to do the Royal Arch hike instead, which was great! But man, this was a tough one! Granted, I haven’t exercised in 2.5 months since my car accident so to be fair I was a little out of shape. But this is essentially all uphill, so it was quite strenuous. By the time we got to the Royal Arch, I was veeerrrryy ready for a break (and a sandwich)! Due to the fires on the West coast, our view was a bit hazy. I don’t know what it normally looks like, but I was still pretty happy with it! (I think you’re normally able to see all the way to Denver, though.) We took our time eating our sandwiches and taking in the view. 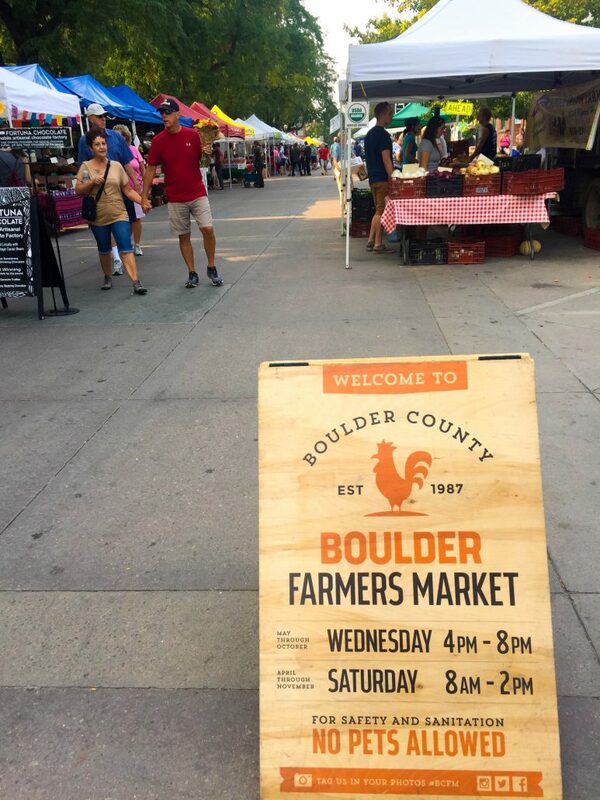 We took the easy way back to save us some time and energy and then went to the Boulder Farmer’s Market. How can you pass up a freshly-baked, WARM gluten-free cookie?! 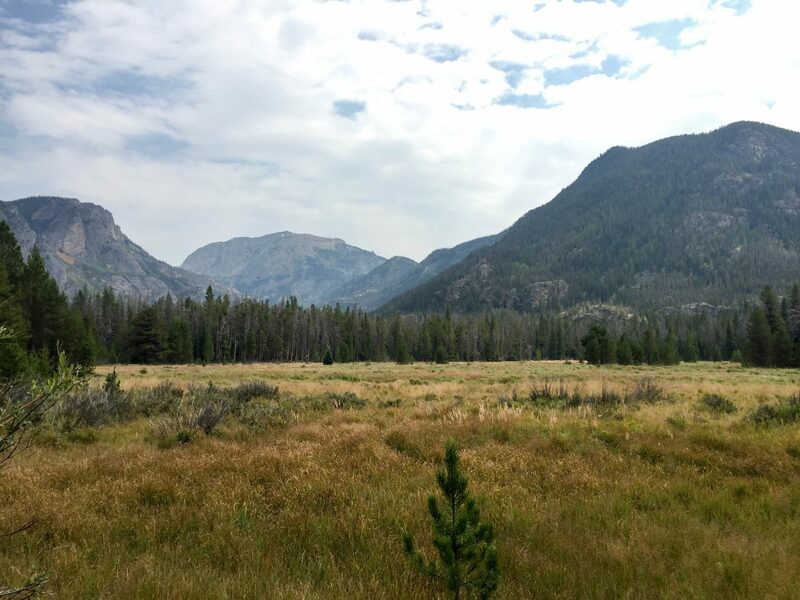 Called it an early night so that we could get up early to drive through Rocky Mountain National Park, do some hiking, and get to our next AirBnb near Grand Lake at a reasonable hour. This was my favorite day of our trip. 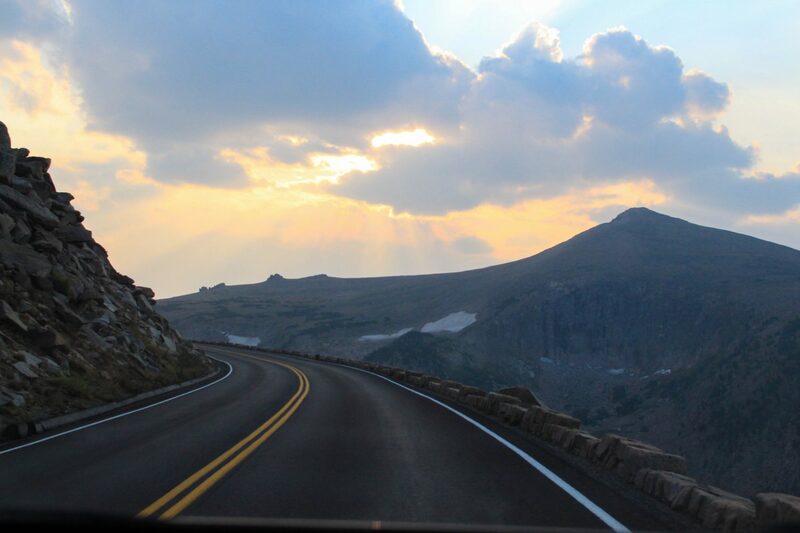 Driving through RMNP was AMAZING – so many great views and overlooks. I had to drive the whole way since the rest of my party was a little scared of mountain roads and/or under 25 (and therefore a fortune to add to a rental car policy). Wish I could’ve taken more pics for you, but I’ll share what I was able to take at all our stops! 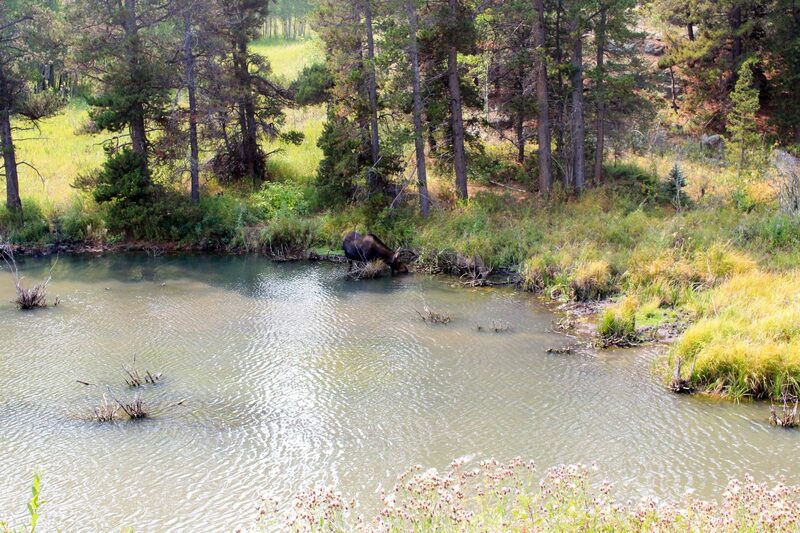 We even saw a moose! Our hike this day was incredible and I’m still kicking myself for not bringing my real camera. I was thinking it would be the same difficulty as our previous day’s hike, and I didn’t want to lug around a big camera. But I was wrong – definitely could’ve brought my camera on this one and I would’ve had so many more beautiful photos! But even with an iPhone, this place did not disappoint. At practically every turn, we were gasping at the beauty. 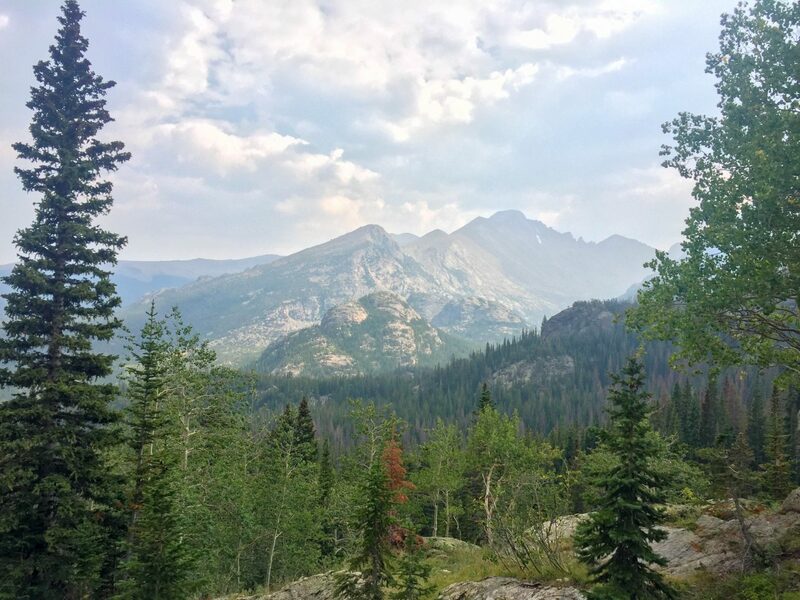 After finishing this hike, we drove through RMNP (stopping all the way through for almost every overlook, of course! ), on our way to Grand Lake. 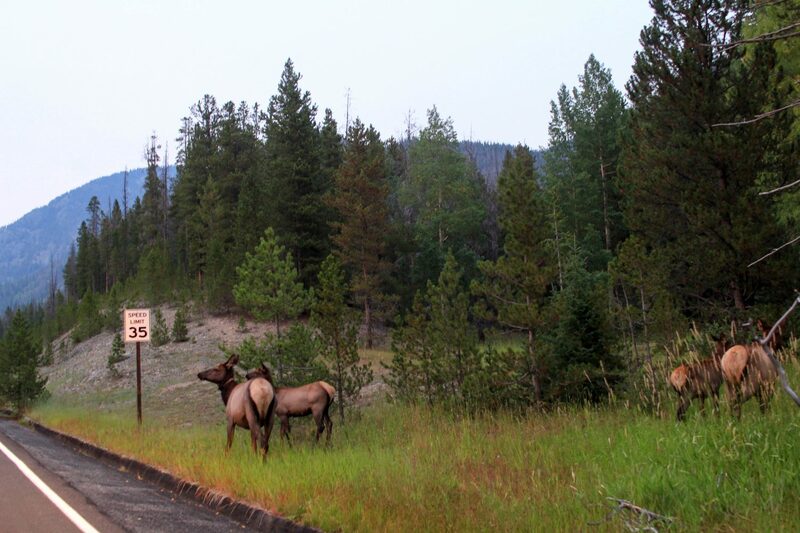 By the time we were nearing our destination it was dusk, and we realized we were there during the elk rut (the mating season), which meant we saw herds of elk hanging around. Very cool to see! A little after dark, we arrived in Grand Lake and wanted to pick up some dinner to bring to our AirBnb. Almost everything was closed, so we went to the one spot that was open — a Mexican restaurant. Surprisingly pretty good food! 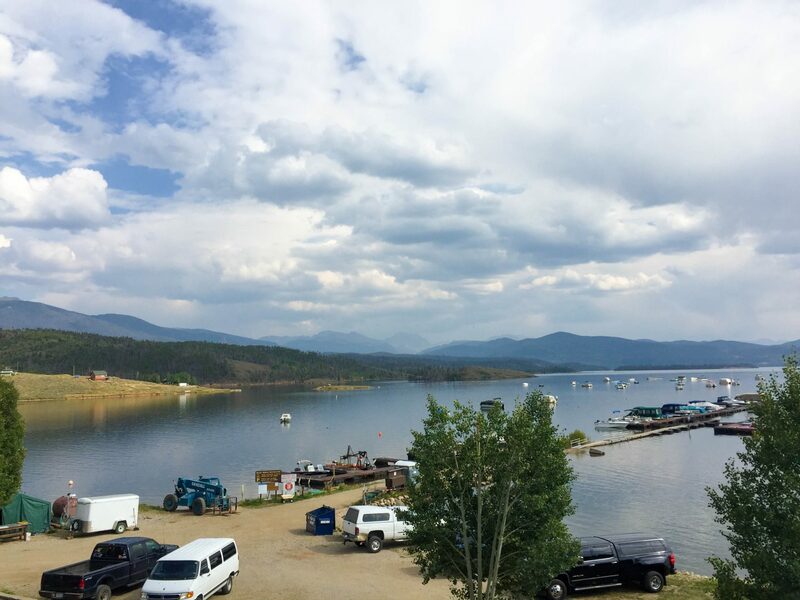 Our next AirBnb was a cute little spot right on Lake Granby. It also had a hot tub, so we jumped in after we finished dinner to relax after a long day of hiking and traveling. We woke up the next morning to realize our view was quite beautiful! 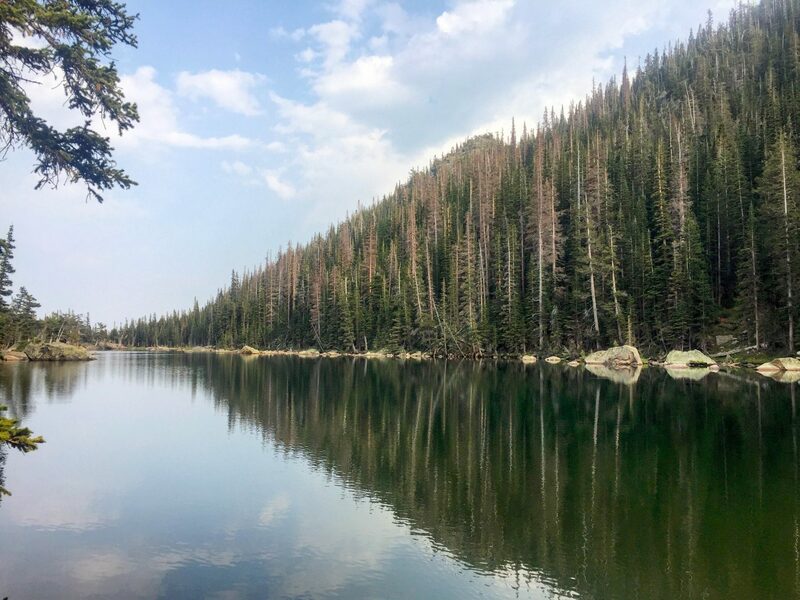 It was our second-to-last day in Colorado, and we decided to take it easy since we had such a relaxing atmosphere to enjoy. 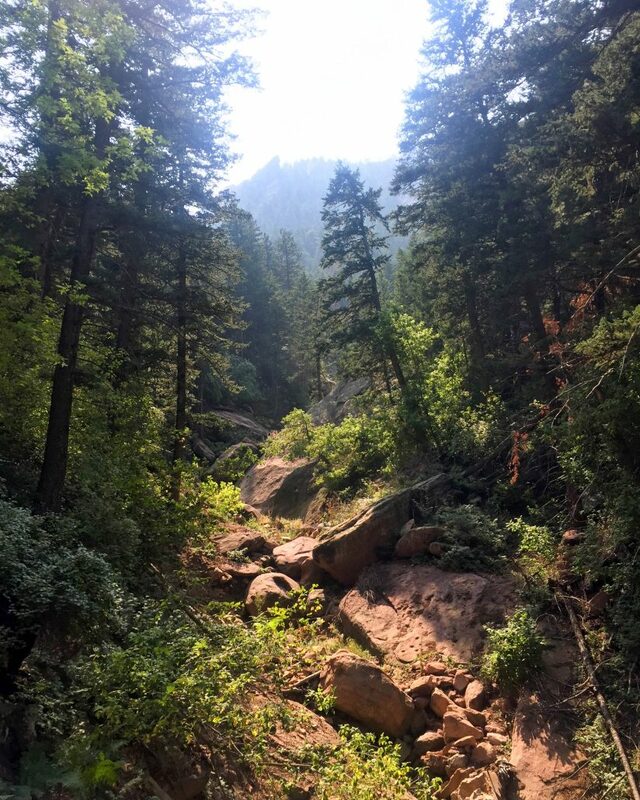 We picked out a super easy hike (still gorgeous, though!) to give our legs a bit of a break. Like…how is this gorgeousness even possible?! For the rest of the day, we hung out on the lake, went in the hot tub and relaxed! Alas, our last day arrived and we made our way toward Denver. 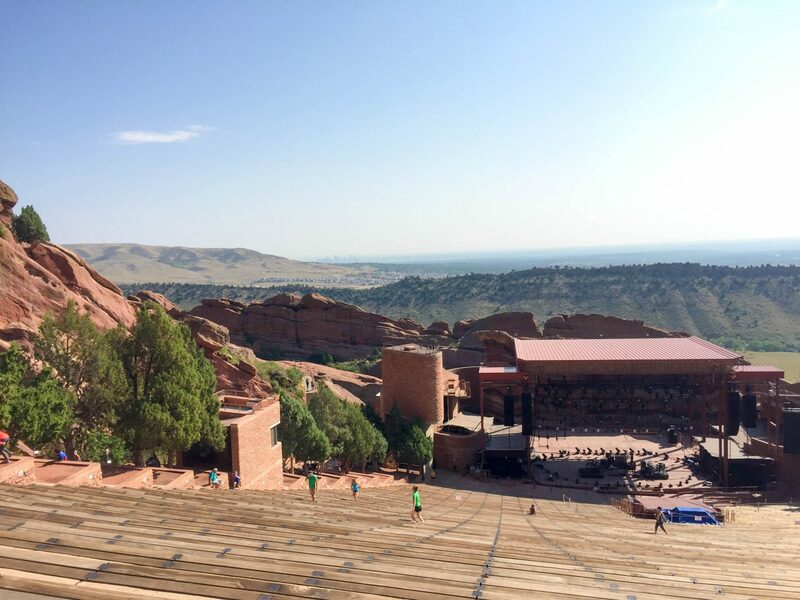 But first, we stopped at Red Rocks Amphitheater which was so cool to see! 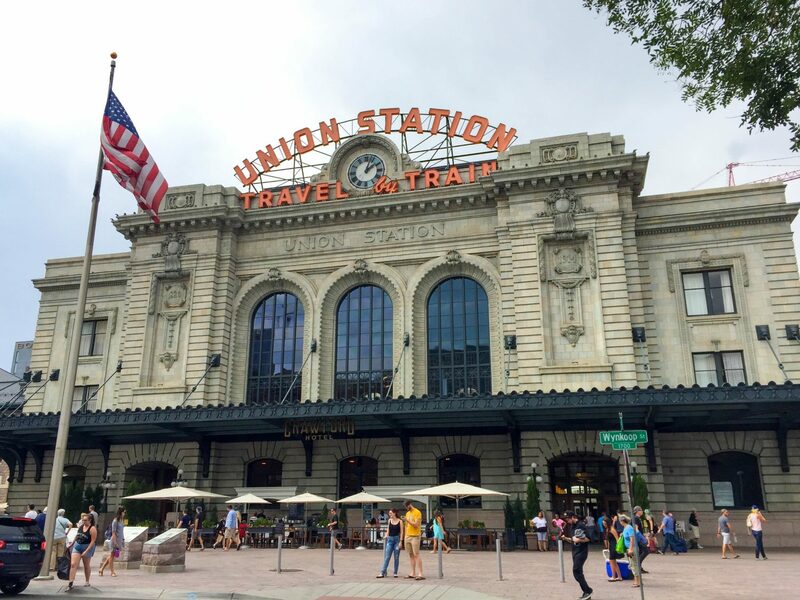 Sadly, we didn’t have a whole lot of time to spend in Denver before our flight, so we ate lunch and walked around a bit to round out our trip! Traveling so much lately has made me realize how much experiencing new things nourishes me. 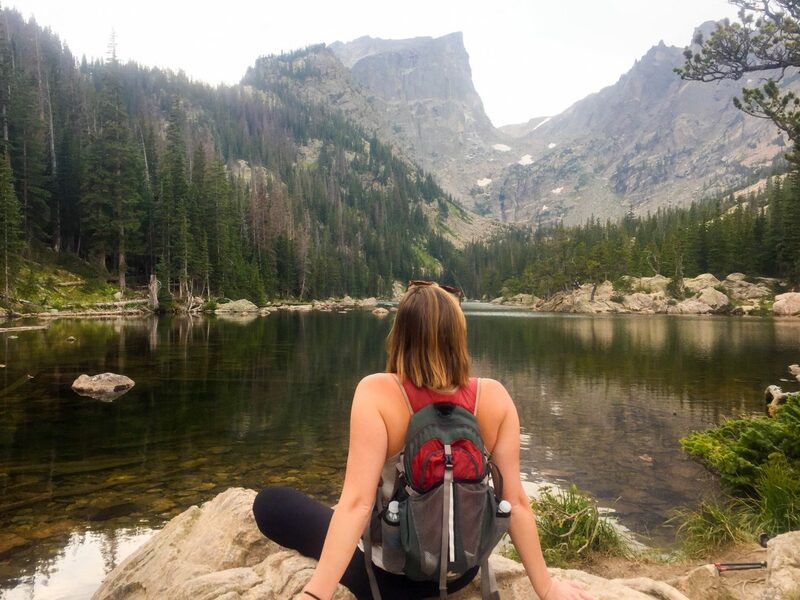 It’s one of my favorite things to do, especially when I get to be in so much nature the whole time! At the end of this week, I’m going to Saõ Miguel island off of Portugal with my husband as a kind of anniversary trip (do we get 2 anniversaries?! We married in June, but had our wedding party in October so….). 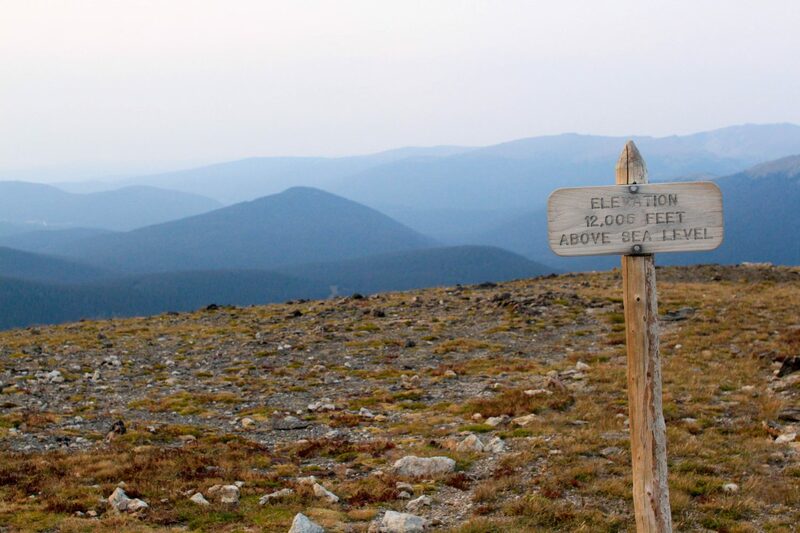 It’ll be a lot of hiking and nature yet again, so I can’t wait! For my last two trips to North Carolina and Colorado I was working, but this time I’m shutting down the computer (but don’t worry, I’ll still be sharing plenty on Instagram! ).